We all have holiday traditions that we share with our families; some are several years old while others have been carried on for generations. If you’re looking to make new memories as Christmas in Austin approaches, check out these holiday traditions in Austin that your family will treasure for years to come. 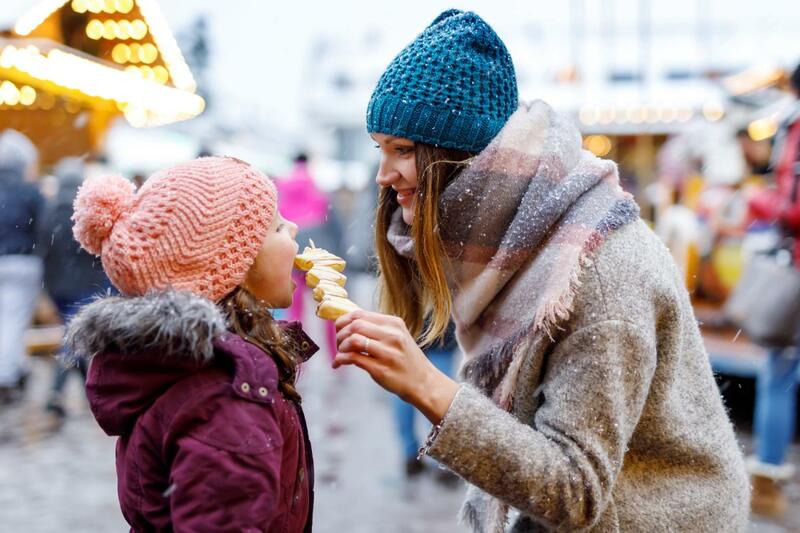 Through Friday, December 7, take your family walking in this Winter Wonderland at the Circuit where they not only can ice skate in the state’s largest outdoor rink but also experience a host of delights including the Tunnel of Lights, Singing Trees, and Santa’s Workshop. There will also be a petting zoo, Santa portraits, camel rides, and even more things for your family to enjoy. Looking at Christmas lights is a holiday tradition shared by many. While you’re cruising around and checking out displays, don’t forget to take your family to Mozart's Coffee Roasters between now and Christmas to see their display of one million LED Christmas lights! Swap out your fake tree and get the real deal from Elgin Christmas Tree Farm as your family’s new holiday tradition. In addition to yelling “Timber!”, your family will also enjoy perusing the Barn Store’s gifts and the Christmas Cottage full of festive decor. This year, the farm is open on weekdays and Saturdays from 10 a.m. to 5:30 p.m.
On Saturday, December 1 from 5-10 p.m., stroll around Downtown Austin with your family while singing your favorite Christmas songs. Everyone will also enjoy the Lighting of the Downtown Tree at 7 p.m. as well as photos with Santa, a petting zoo, holiday arts and crafts, local food trucks and artisans, and live ice sculptures, murals, and musical performances. Another big holiday tradition in Austin, the Boat Parade and Light Show on Lake Travis is a must-see as beautifully bedecked boats sail around the lake. Take your family to see this year’s parade and enjoy live music on December 1 from 6-10 p.m.
You can also see Christmas lights at Zilker Park's Annual Trail of Lights, Austin’s largest holiday tradition bringing 400,000 visitors each year. From December 11-25, you can take your family to see the stunning trail of lights as well as experience Austin’s best music, food, and arts. Skip the mall and bring your family to the Armadillo Christmas Bazaar on Thursday, December 13 at the Palmer Events Center between 11 a.m. and 10 p.m. Your family can get all of their Christmas shopping done while enjoying live music by a variety of Austin talent ranging from new and emerging stars to local legends. Take your family to see Ballet Austin's magical production of The Nutcracker at the Long Center for the Performing Arts between December 5 and 15. This holiday tradition is definitely a splurge as tickets range from $43 to $99, but it’s so worth it! Dining out on Christmas Eve or Christmas is a holiday tradition that everyone can get on board with. Don’t worry about the all the prep and clean-up: just enjoy spending the holiday with your family and a delicious meal at one of Austin’s best restaurants! From Christmas lights to villages and festivals, Austin has many holiday traditions that your family can incorporate this season. Find more ideas for Christmas in Austin by registering on 512area, your free guide to the Austin area.